The feather boa! The satin! The bob! Lara Flynn Boyle was a mood in her figure-hugging champagne gown. 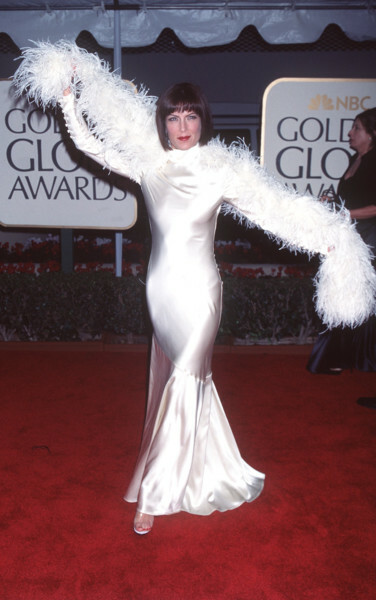 Can someone please recreate this look for the next Golden Globes? That's all.